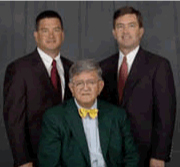 Joe Griffith, Inc. is one of Charleston’s oldest full service commercial real estate companies. Founded in 1957, Joe Griffith, Inc. provides a full range of real estate services including general brokerage and leasing (representing sellers/buyers & landlord/tenants), development and investment opportunities, and property management. Copyright © 2011 Joe Griffith Inc.